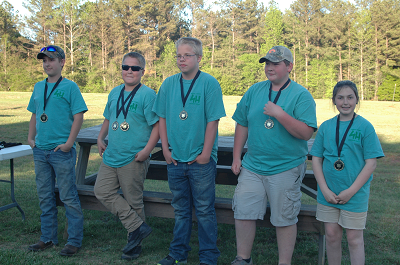 Carroll county 4-H shotgun Team is under the direct coaching of Greg Ashworth a NSCA level 1 certified instructor. The coaching Staff include Richard Ashworth, Jeff Posey, Lela Hollingsworth. The practice sessions are held every Thursday afternoon at 4pm. The Season Runs from January to May. A Child must be at least thirteen (13) years old or in the seventh (7th) grade of school. 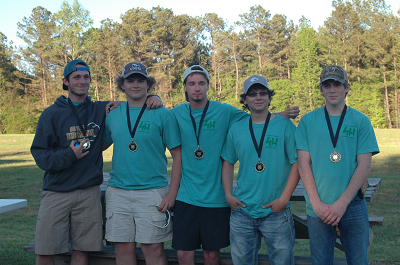 The coaches try to take the shotgun team on several fun shoots during the year. There is one (1) district qualifying shoot each year leading up to the state shoot at Rock Eagle. At this event, counties from the entire state compete for state titles. Cost is $150.00 to join the Team and 2 boxes of shotgun shells each practice price varies per season.